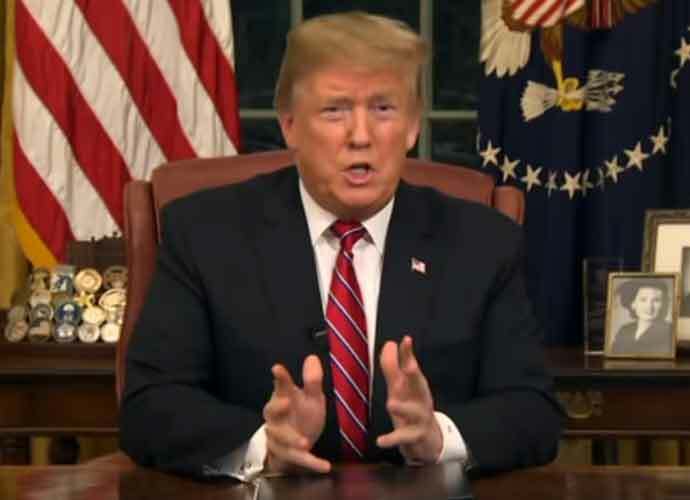 President Donald Trump on Friday reiterated his threat to to close the U.S.-Mexico border in the coming days, saying Friday afternoon “there’s a very good likelihood” he could do this. Critics of this proposal have warned that shuttering the U.S.-Mexico border would hurt the American economy because of the large number of goods exchanged between the two nations. For years, the U.S. had a large trade deficit with Mexico, an argument Trump used dating back to the 2016 election to propose the Latin American country pay for the border wall, which is still under construction following the president’s national emergency declaration. Nearly $8 billion have been allocated to fund the steel barrier. On Friday morning, Trump fired off several tweets accusing Democrats of weak immigration laws, among other things. Trump has repeatedly made false claims that drugs and other crimes are entering the U.S. through the southern border. In fact, recent reports show illegal crossings and apprehensions at the border have decreased significantly over the last decade.